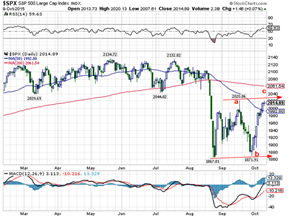 Both the DOW and the S&P have similar corrective moves. It is not entirely clear how one would arrive at 5 waves down from the March highs but notwithstanding that the a-b-c’s are quite clear. In fact they are a days trading within a nice Fibo 62% retracement level, but of course waves 2 can retrace a lot more than that. 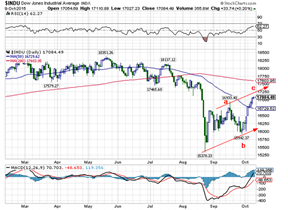 For the Dow that level is at about 17218 and for the S&P about 2033. For the moment we will assume this a-b-c is a wave 2. Should it stop at these levels the next thing is wave 3. 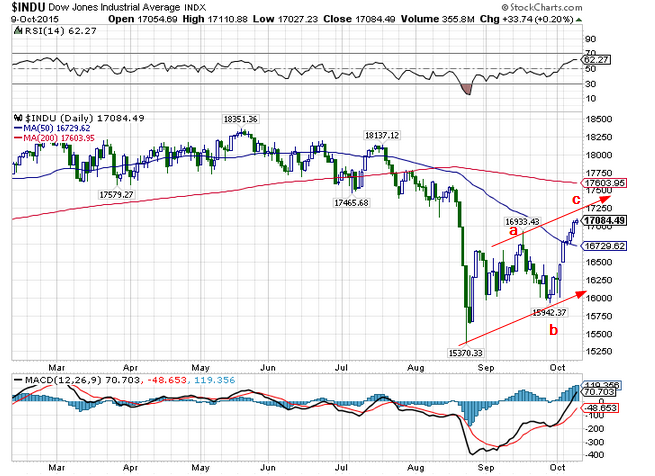 This one is usually 1,618x to 2.618X wave one so roughly 5000 to 8000 points on the DOW. 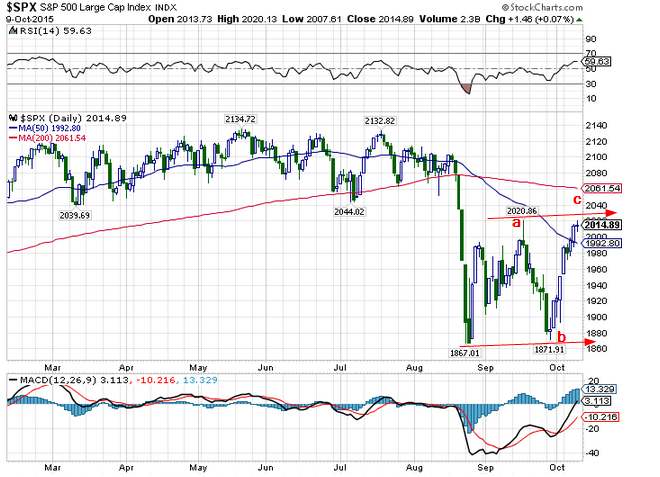 For the S&P the numbers are 432 and 699. We will see what happens, if anything, because from the Plunge Protection team to every broker, pension fund manager and, nowadays, politician will do everything in their power to avoid this kind of outcome.